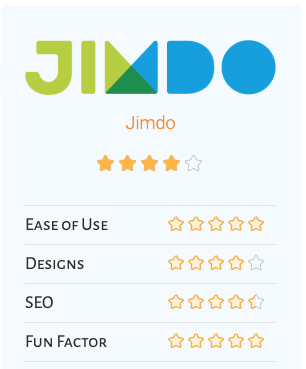 Jimdo is a super easy service for creating and managing your own website...What does make Jimdo stand out from the rest is how easily it handles e-commerce, so if you're thinking about running a Web page for your small business, Jimdo provides ease of use as well as a way to sell your goods right from your website. "Jimdo’s site builder is based on one key idea above all else: ease of use in every way. Jimdo aims to remove all barriers to enable you to create your own professional website, regardless of whether you’re a restaurant owner, band member or freelancer." 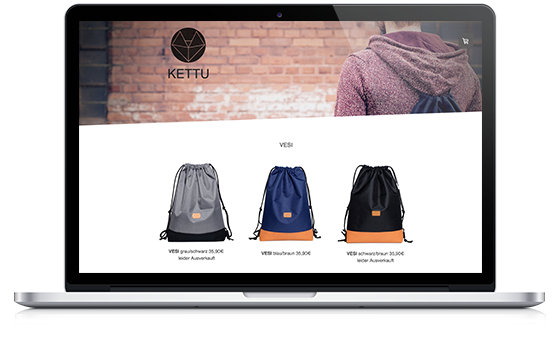 "If you want to build an online shop without too much hassle, Jimdo is a very strong candidate to fit your needs." "We were consistently impressed with their passion for helping people build websites, which is an important consideration when selecting the right website builder." Jimdo has received top marks from us because of its ease of use and comprehensive features— a clear winner. We can absolutely recommend the product of Jimdo. For me it’s very important that I can easily and quickly maintain my website. It is an important tool but I do not have the time to spend two hours at night working on it. This is what I love about Jimdo: it’s easy, it’s fast. It’s great that it provides an app. If I’m outside doing stuff, I can just go to my app, make my changes, done. With Jimdo there are all these different services that you get when you sign up for your ecommerce or your business program – you get customer service, analytics. Seeing how to improve your website is very important. I would not be where I am today if I didn’t have a website. The possibilities are endless! You can create any type of website you want with Jimdo—a professional or personal website. Check out examples of successful Jimdo sites below, or visit our Outstanding Jimdo Websites page.